The dropping prices of solid-state drives is a good thing for the consumer. Driven down by the economic benefits of mass-produced NAND, it's now possible to purchase 250GB drives for £60 and a 500GB model for not much more than £100. Still rocking that mechanical drive? It's time to switch to an SSD. 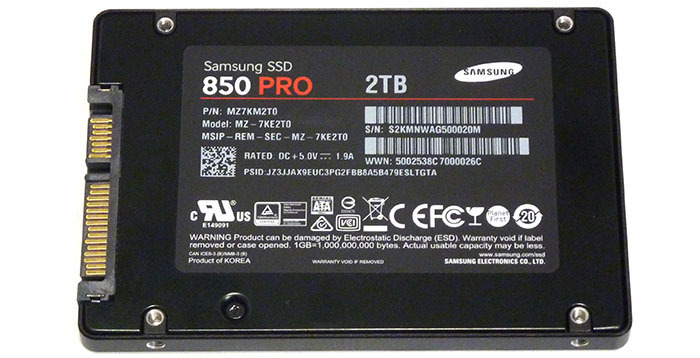 Samsung's solution, and a key contributor to today's 2TB models, is 3D V-NAND. Essentially a means of stacking cells in vertical layers, this clever technology allowed Samsung to revert to an easier-to-manage 40nm process node, while simultaneously increasing capacity, boosting performance without affecting that key attribute of endurance. In particular, Samsung has increased cells and capacity by going back to a tried-and-trusted, mass-produced lithography that's stacked in multiple layers rather than a single planar that exists on the majority of SSDs today. It's akin to increasing floorspace by building a high-rise edifice instead of a single-story structure. There's more to it than mere stacking alone, mind, as we discussed in the enterprise-specific 845DC SSD. Samsung's Pro variant continues to use less-cost-effective 3D V-NAND carrying two-bits per cell, but the drive's premium positioning brings with it enhanced longevity. Matching the existing 1TB drive in most departments, the £750 2TB 850 Pro is backed by a reassuring warranty that covers the drive for 10 years or 300 terabytes written, whichever expires first. That's equivalent to writing just over 80GB of data every single day for an entire decade. Samsung's decision to opt for an older, more mature manufacturing process is the key for improving endurance and therefore warranty terms. Increased capacity by means of stacking NAND is sure to be used by rival manufacturers in the months to come. Samsung's size enables it to be the first to market with the technology, and we take a look at the range-topping 2TB model today. The company's decision to release such a high-capacity drive in a solitary 2.5in SATA form factor has important ramifications for performance. The interface limits the real-world speed to 550MB/s for both reading and writing, while opting for 2.5in alone reduces the usefulness to, in the main, desktop machines and larger laptops. The latest generation of M.2 are obviously quicker in a straight line, meaning the 850 Pro 2TB is more about capacity than sheer speed. Knowing this, the now-familiar Samsung packaging is in evidence. 6.8mm high and backed with migration software and a robust set of diagnostic and monitoring tools within the Magician software, Samsung is likely targetting this model to the well-heeled enthusiast who doesn't want to worry about solid-state capacity for their uber rig. Inside, too, the story is familiar. Samsung uses multi-layer 40nm NAND and the MHX controller which in turn is backed up by 2GB of DDR3 memory for buffering operations. 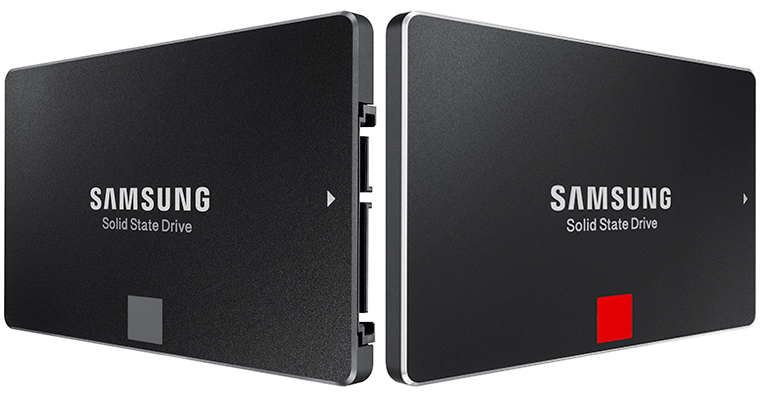 The tri-core controller is new for this capacity for both the Pro and Evo SSDs, and Samsung says that it is introduced because the long-standing MEX controller isn't designed for capacities above 1TB.